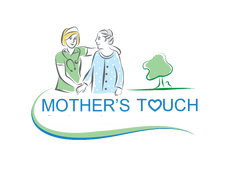 Our home care social workers are qualified to cope with the social, economic, and emotional needs that may occur because of the patient's medical condition. The mission of our clinical social workers is to help patients and families understand, adjust, and cope with the impact of their illness, situation, or injury. From there, we help maximize patients' level of functionality to improve their quality of life. "Social workers help home care patients and their families cope with the social, economic, and emotional needs"
Other needs addressed range from helping families communicate with insurance carriers and financial institutions to planning memorial or funeral services. Furthermore, social services provided by social workers can include counseling patients wishing to resolve emotionally painful family issues that take on a new sense of urgency in times of terminal illness. 2) Facilitate crisis intervention and emergency services. 3) Offer guidance on planning and decision-making. services and assist with referrals. including assisted living or skilled nursing facility.